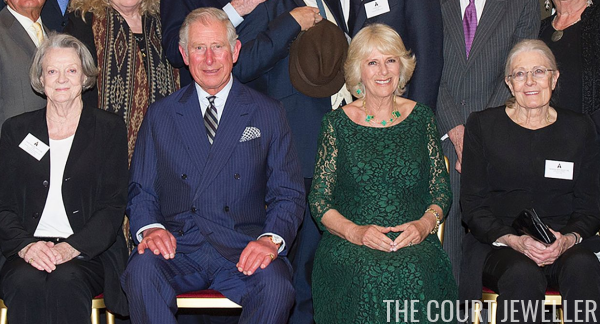 The Prince of Wales and the Duchess of Cornwall held a reception on Wednesday evening in London for British winners of the Academy Award. 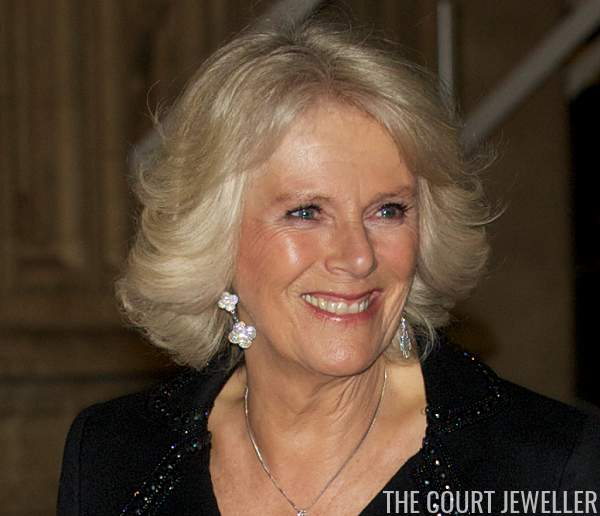 For the star-studded event, Camilla chose a set of jewelry from her collection of Van Cleef and Arpels pieces. This necklace and earring set is from the firm's Magic Alhambra collection; the pieces are made of malachite set in gold. Camilla paired them with a gold-toned bracelet on her left arm. 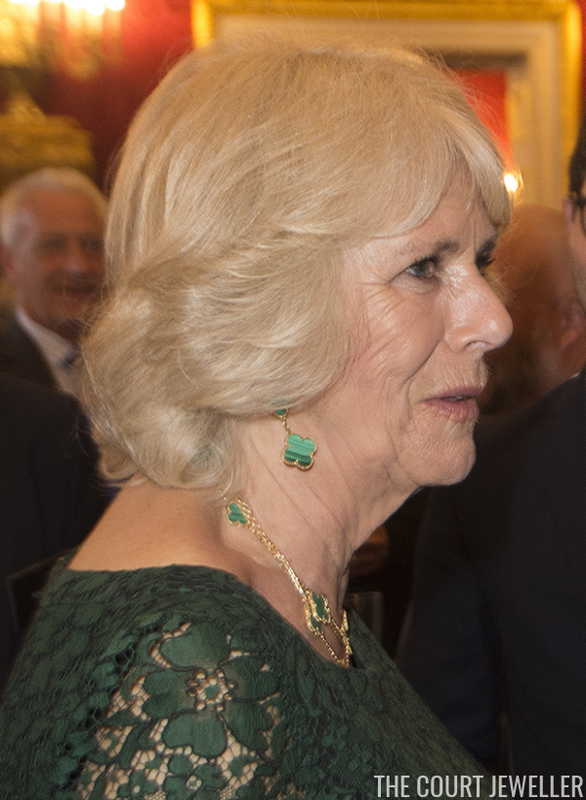 We've seen Camilla wear Magic Alhambra pieces before; she also has a pair of diamond earrings from the collection. Above, she wears the diamond version at a Prince's Trust Comedy Gala in 2012.